The No. 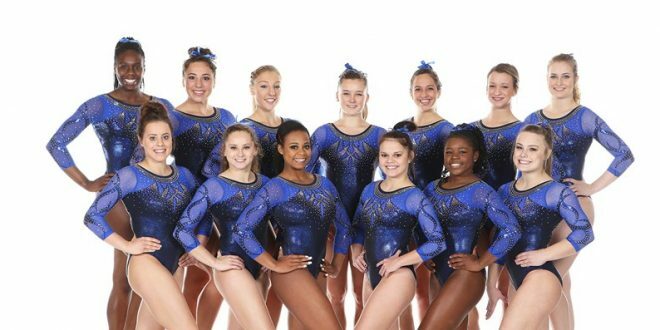 2 Florida Gators Gymnastics team continued to bring home wins, beating the University of North Carolina Friday night with a total score of 197.325 to 194.300. Florida won every event of the night with Alex McMurtry winning Vault, Bars, and Beam, and Alicia Boren winning the Floor Exercise and All-Around. Gator Gymnastics started off the evening with the first rotation on bars. Alex McMurtry came out on top with a 9.900. Grace McLaughlin followed right behind her with a score of 9.850. 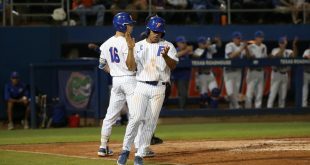 The Gators ended the rotation with a score of 49.225. Meanwhile, UNC performed on the vault with a score of 48.375. For the second rotation the Gators moved to the vault. Florida used only 5 vaulters against UNC, who had all 6 vaulters compete. However, Alex McMurtry was the top performer again with a score of 9.950. She was followed by Alicia Boren and Rachel Slocum, who both tied for second with a score of 9.925. Florida kept the lead against UNC ending the second rotation with the score 98.625 to 97.30. Florida took on the floor for the third rotation with UNC on the beam. Top performer for the floor exercise was Florida Gators Alicia Boren. Born set a new record for her collegiate floor best with a score of 9.950. The Gators ended rotation 3 with a leading score of 147.875 against UNC’s 145.525. For the fourth and final rotation, Florida had the beam and UNC had the floor. Alex McMurtry pulls out another top score winning the beam event with a score of 9.950. UNC’s Khazia Hislop was right on her tail with a 9.925 on floor. Alicia Boren was an All-Around winner with a score of 39.625. The Gators will play host to the Auburn Tigers next Friday for their Link to Pink game. Be sure to see your Gators decked out in pink to honor breast cancer survivors. Meet time is scheduled for 6:45 p.m.